Sonta, our Mulassier filly, put on a growth spurt! She's nearly as tall as Fred the mule, who at two and a half is over 15 hands. Sonata is on the left (note she is pretty rump-high, which means she's mid-spurt) and Fred is on the right. Interestingly enough, Sonata shed some of her heavy leg feather over the heat of the summer. Sonata du Capstone, Mulassier filly with WSF Princess Winnifred, Percheron cross draft mule filly. Here she is in November. She was growing so fast, she got a little ribby. She's kind of in that awkward yearling stage! 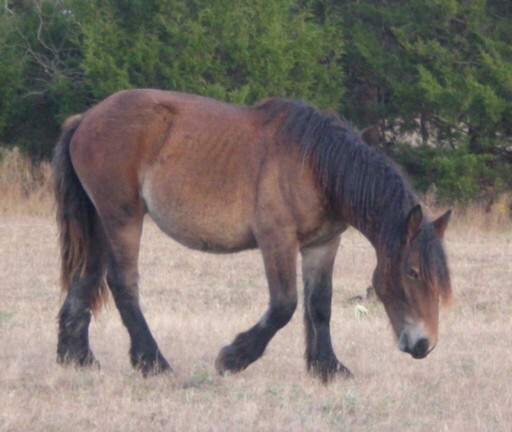 The horses have 78 acres to graze on, but we also hay and feed every day. LUCKILY this year we have plentiful hay! Sonata isn't the only one growing... Myryha will be twelve in February. Left to right, Sonata, Rabbit, Myryha, and Angel the donkey. 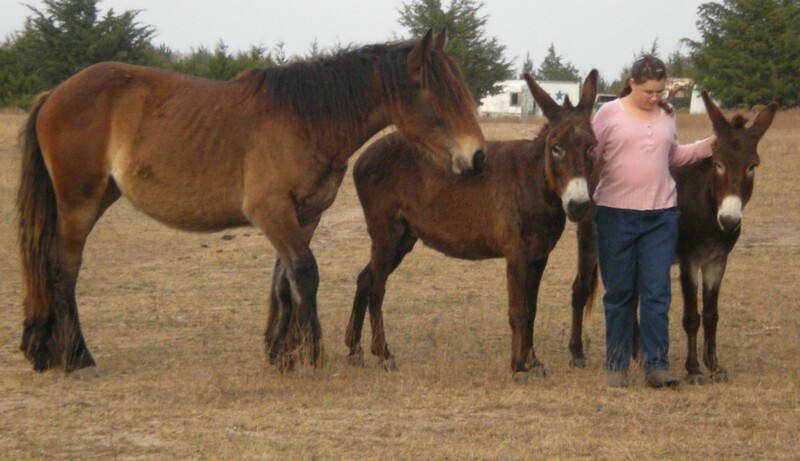 Thor (half-bred Poitou Donkey gelding), Sonata (Mulassier filly) (Rabbit is behind her) and Angel the standard donkey.